Bhushan Dahal talking to Dr. Bipin Adhikari ( संविधानविद् ) about local election of Nepal. This program was aired in Kantipur Television on 20 February 2017 at 9:30 PM. Bhushan Dahal talking to Netra Bikram Chand about armed rebellion of Maobadi and their future steps in politics of Nepal. This Program was aired in Kantipur Television on 13 February 2017 at 9:30 PM. Bhushan Dahal talking to Narayan Kaji Shrestha about Political Issues. This Program was aired in Kantipur Television on 30 January 2017 at 9:30 PM. 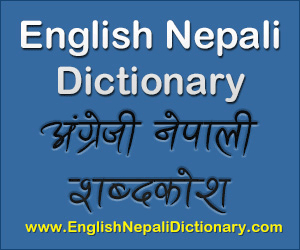 भुकम्प पिडित हरु को पुनर्स्थापन र पुनर्निर्माणमा भए गरेका ढिलाई, राजनैतिक आग्रह-पूर्वाग्रह, आरोप-प्रत्यारोप आफ्नो ठाउँमा छ, तर पिडितहरु प्रति देखिएको संबेदनहिनता, निजि देखिन राष्ट्रिय सम्पदा सम्म को पुनर्निर्माणमा भएको ढिलाई क्षमा योग्य छ? Bhushan Dahal talking to Bimalendra Nidhi about issues in ammendment of Constitution and preparation for upcoming election. Bhushan Dahal talking to Janardan Sharma about load-shedding free Nepal, energy management and helpless consumers. This Program was aired in Kantipur Television on 02 January 2017 at 9:30 PM. Bhusan Dahal interviewing Baburam Bhattarai (samyojak, Naya shakti Nepal) on 20 June 2016 in program Fireside. संविधान जारी भए देखिनै देशमा कहिले बन्द हड्ताल र कहिले सिमा-नाकामा आन्दोलन गर्दै आएको मधेसी मोर्चा ३ महिना जति चुपचाप बसे जस्तो देखिन्थ्यो। तर येति बेला फेरी मोर्चा सहितको संघिय गठबंधनले सिङ्घदरबार केन्द्रित आन्दोलन थालेको छ। ६ महिना लामो आन्दोलन र झन्डै त्येतिनै लामो सिमानामा अबरोधले जनजीवन अस्तव्यस्त हुँदा पनि पुरा नभएका मोर्चाका खास माग चाँही के हो त ? Music video for Bholi Chutti (Official Video) ft. DJ AN & Bhadragoal Team performed by Prakash Poudel. बारीलाई कान्लो चाहिएको छ, खेतलाई आली चाहिएको छ, मेरो देशको सिमाना भने पर्खाल होइन, नेपाली चाहिएको छ, हो! नेपाली चाहिएको छ !! In this episode host Bhusan Dahal has invited General Rookmangud Katawal for discussing about his recently released book “ROOKMANGUD KATAWAL: AATMAKATHA”. Take a virtual tour of Hong Kong in this episode of Ghum Gham with Bhusan Dahal of Kantipur TV.